Select your Location Mayfair Toronto Parkway Mayfair Toronto East Mayfair Toronto West Mayfair Toronto Lakeshore General Please select an item! Mayfair Toronto East opened in 1983, tucked away on Esna Park Drive off Warden and north of Steeles in Markham. This intimate Markham tennis club has been a favourite for long-standing Members who enjoy the carpeted tennis courts along with their favourite activities. Mayfair Toronto East is the quiet outpost among the Mayfair locations, still well loved and called on by its loyal Members who continue to enjoy their rich Mayfair Experience. Mayfair Toronto West is our oldest Club with the youngest Membership. A popular spot for budding families to enjoy the many features for all ages, including a kids­-only pool. This North York Tennis Club, located on Chesswood Drive, is a sprawling facility beyond the ordinary including valet parking, a full range of Pilates Reformer classes, the mix and mastery of sports and activities that are a staple of the Mayfair Experience – and even offers kosher food options. Mayfair Lakeshore is the downtown hub of the Mayfair Experience. Close to the heart of Toronto, Mayfair Lakeshore pulses with the urban crowd and feeds off the dynamic energy of the city core.The easy access to commuter routes makes Mayfair Lakeshore a family spot too with a new Junior Members Club and lots of programming and activity for our youngest athletes.This is also the crown jewel of our Clubs’ squash facilities and best place for spectator enjoyment through the beautiful new glass walls. Relax and restore balance at one of our Wellness Spas. Our full treatment menu is available to members and non-members. We offer the convenience of high-quality esthetic services and expert sports therapy, which are customized to meet your specific health and wellness needs. Enjoy delicious food and exceptional service in our Mayfair Bistros. Our all-day menu features healthy, locally sourced and organic offerings, for members and guests. Our wide variety of event, meeting and party offerings are customizable to make your event memorable. We offer the latest in tennis & squash racquets, yoga & sports apparel and sports accessories. Convenient stringing and re-gripping for tennis and squash mean your game will always be at its best. Our wide variety of sporting goods make our Sports Shops a destination for members and guests alike. Our year-round Lifesaving Society program, led by a team of qualified and passionate instructors, is focused on the development of strong swim strokes and skills. Members and guests of all ages have access to our exceptional swim programming in our modern salt water pools. 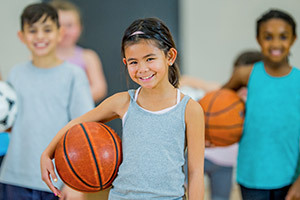 Over a dozen basic and advanced programs for kids (12 – 18) available WITHOUT A MEMBERSHIP. At Mayfair Clubs, every day at Camp is focused on creating a worthwhile experience for your child. Our sports camps are centered on fitness and fun, as children learn new skills in a safe and motivating environment. Mayfair offers camps during all school breaks, including summer & winter break, March break and P.A. days. With a wide variety of camps to choose from, including tennis, squash, sports and swim camp, there is something for every child. 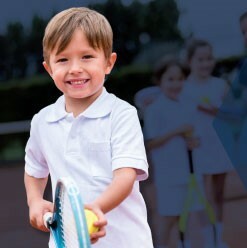 Mayfair Clubs offers comprehensive junior tennis development programs led by the province’s top Tennis Pros. 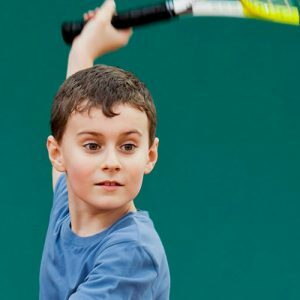 Our certified Tennis Canada Kids Tennis progressive programming is designed for children of all ages. Whether your child is simply interested in learning a new sport, or they have a passion for competition, Mayfair Clubs will provide the development and training they need to achieve success. 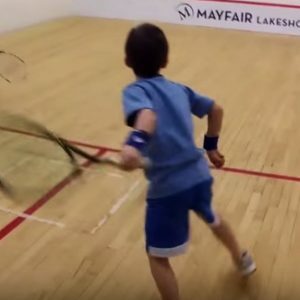 The Junior Squash Program at Mayfair Clubs has a history of excellence in the Canadian squash community. Lead by the industry’s top Pros, our comprehensive programming is focused on your child’s Long Term Athlete Development (LTAD). 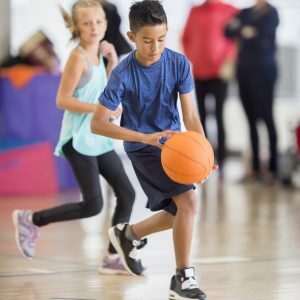 Whether your child is looking to learn a new sport or has a passion for competition, the Junior Squash Program is designed to provide the development and training they need to succeed. Mayfair Clubs has everything your child needs to safely learn how to swim. Our year-round Lifesaving Society program, led by a team of qualified and passionate instructors, is focused on the development of strong swim strokes and skills. From parent & tot to bronze cross, members and guests have access to our exceptional swim lesson programming in our modern salt water pools.